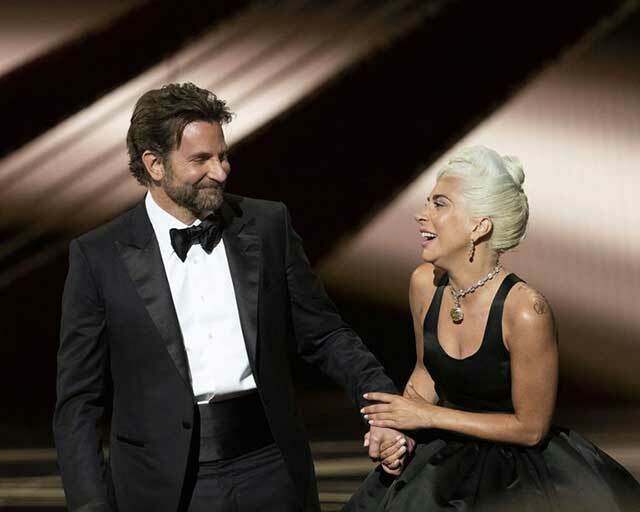 It was the most-talked-about scene from last night's Oscars: Lady Gaga and Bradley Cooper materializing out of the audience and heading onto the stage together to perform "Shallow," her in a striking open-back black gown, him in a classic tailored suit. At one point during the performance, Cooper walked—no, sexily sauntered—to the piano bench, where he sidled up next to Gaga. They leaned into each other, singing in tandem with her forehead on his, until they turned and locked eyes intensely. This, according to Twitter and everyone in my group chat, was not a performance by two actors but a public declaration of love. The tweets and messages I scrolled through last night were in instant agreement: They have crazy chemistry. They belong together. They should have kissed. 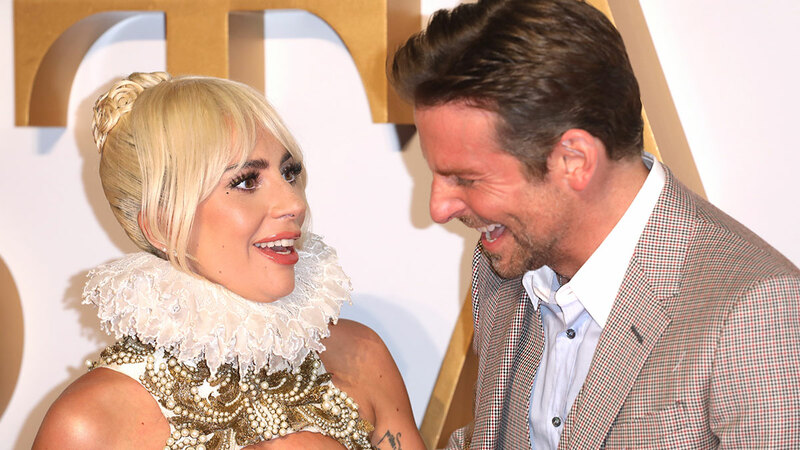 Everyone was seemingly rooting for them to progress from onscreen couple to IRL love story right there, at the Oscars, with memes like, "Get someone who looks at you like Bradley Cooper looks at Lady Gaga." For me, none of this was cute and gushy and romantic—in fact, it felt pretty damn anti-feminist. Not least because Irina Shayk, Cooper's supermodel girlfriend of three years and the mother of his child, was there too. And while the internet was busy salivating over faux Gaga-Cooper feelings, it was also pitting her against Gaga (eye roll). Mercifully, viewers weren't treated to a camera shot of Shayk watching her man perform with The Other Woman. But that doesn't mean Twitter wasn't clamoring for it. Yet when the song ended, Shayk was actually clapping and smiling from the front row. It's frustrating that after Times Up, #MeToo, and Harvey I-don't-even-want-to-type-his-name-whoever, we're still cycling through this regressive pattern where we pit one woman against another for a man's affection. "This is not okay," says Natalie Elisha Gold, a women's empowerment speaker. "We should not be pushing this narrative that women are in competition with each other, fueled by a desire to be seen by a man." And anyway, what makes us wish so hard for the undying passion and happiness of two people we don't actually know? According to psychologist Andrea Goeglein, PhD, it's not about them at all. "It's not that people are rooting for Cooper and Gaga—they're rooting for themselves," she says. "They are projecting what they want in their own lives, what they may be missing. The Gaga-Cooper dynamic just reminds many what chemistry looks like so they have fun building that into something deeper." The catfight-esque love triangle is just an extra thrill. When Gaga made her way onto the stage, solo, to pick up the award for best original song, she thanked her co-star by saying, "Bradley, there is not a single person on the planet that could've sang with me but you. Thank you for believing in us." Cooper beamed. Shayk did too.